My son’s bar mitzvah was three years in the making–ever since he told me his “good news”: that he “wanted to be Jewish.” This was only about nine months after I adopted him and his older brother from Brazil, as they were turning 9 and 12 years old. Though he had barely mastered the English language, my son Davi was anxious to start learning yet another language… and Hebrew, no less. To change over from their previous beliefs in and practices of the Christian faith in favor of becoming Jewish was not an expectation I had for either of my sons. I wanted their religion to be their decision–more important to me was that my sons be spiritually connected, and live a just and moral life. Davi’s decision took me completely by surprise. There were no real clues about his thinking beforehand, yet once he started out, he never looked back. I never understood what Davi’s decision was really about. Was this his way of affirming his desire to belong in our family? Did he want this to be another definitive move toward separating himself from his family of origin? Or, had he been so moved and inspired by his exposure to the Jewish religion and culture? I don’t think I’ll ever know, but he fast became comfortable, eager to embrace the teachings of Judaism, as well as its customs and practices. Davi especially enjoyed the last year of Hebrew school, where the focus was on debating and applying Jewish life in modern times. Yet, the repetitive tutoring and practicing of his Torah and Haftorah portions eventually became “annoying,” and often required my nagging to get him to do it. By then, though, Davi wasn’t any different from any other pre-adolescent American boy: prone to distraction and rapidly shifting priorities, all in the midst of having to devote time to prepare for his bar mitzvah. 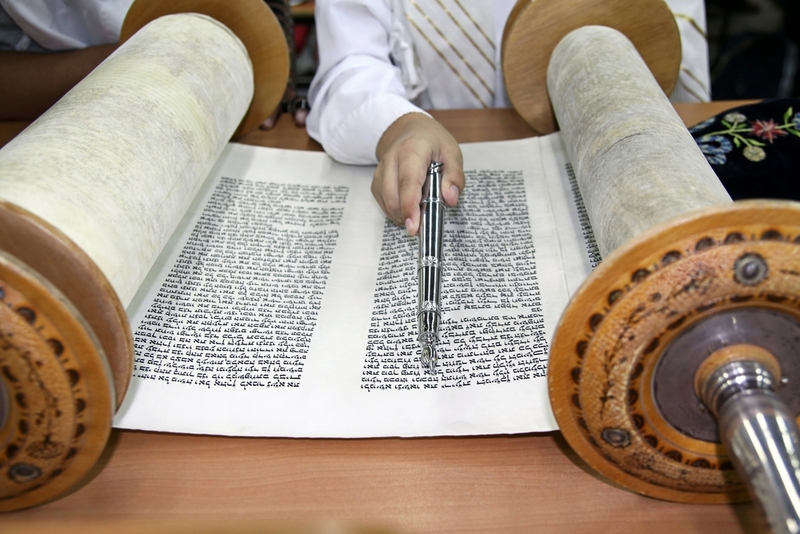 As I approached the bima to deliver my d’var Torah, my interpretation of Davi’s Torah portion, I thought I was well prepared, after several weeks of wrestling with how best to impart my thoughts and feelings. As it was extremely relevant, timely, and deeply personal, I remember feeling the urge to give God a high five when I first learned about Davi’s torah portion–Shlah—which talks about the importance of respecting authority in one’s life. How did He know?! Oh, was I going to go to town on this one! I expected the writing to be rather straightforward, especially given how much energy I spend encouraging, if not demanding, my sons’ respect for my parental authority. Even after four years, Davi and I still clash rather mightily over the outrageousness of his often brazen and passive-aggressive ways (though I know that this behavior manipulates and defends against the still-raw memories of his past mistreatment). What I hadn’t bargained for when I began to prepare my talk was how much more in touch I would become with the emotional implications behind my ongoing struggles to discipline and exercise my parental authority. For older adopted children, it can be much harder to discipline because one must battle the child’s mistrust and compete with the harshness of the child’s former life experiences. And even though my intent in disciplining my kids is simply to “teach,” along with fostering their emotional growth and strengthening our bond, it often comes with the need to “batten down the hatches,” so as to withstand the backlash of their hostility and mistrust. I stood on the bima at Davi’s bar mitzvah as a proud father–proud of the amazing growth Davi (and his brother) have made over the course of four years. Yet, I also imagined myself standing there as an embattled parent, fraying at the edges, and still prone to feelings of insecurity and vulnerability when sometimes parenting my son(s) in competition with their rather unforgiving past; their past can, at times, threaten to divide and conquer us, rather than bring us together. Feeling a bit exposed by the idea of revealing the reality of my parenting in public like that, I choked up in several spots during my speech, each time having to gather up greater strength to make it through to the end. But–in spite of it all–the entire bar mitzvah was a triumph. All of those closest to Davi played an important role in the ceremony: by having an aliyah, opening the ark, reciting a poem or delivering a speech, or presnting him with his tallit, Davi felt cherished in a way he probably never had in his earlier life. The significance of the day was made very clear, over and over again–Davi belonged. A few months later I came across a commentary by Rabbi Reuben, senior rabbi of Kehillat Israel, a Reconstructionist congregation in California, who gave even greater credence to my thinking. He claimed that “what gives Jews our identity is not so much belief as it is belonging–the sense of belonging to the Jewish community, belonging to the Jewish people, being part of a family…” Whether that’s what Davi was looking for or not, it looks like he found that “family” and the place where he belongs, after all.